Holding down the fort for ten years now, Lisa is the Inn’s front desk anchor and Special Events Coordinator extraordinaire! There is nothing better she would love to do than plan out your party to remember! 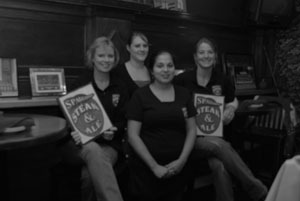 Lisa is also a devoted mother who when not with her kids, working, or fund raising for good causes is often seen relaxing in Spaulding Steak & Ale. Nobody is more helpful than Lisa, and nobody has more friends in town! “Outstanding!” That’s the word our restaurant & service manager often gives when asked how she’s doing. Outstanding is also the best description of Robin and all that she does. Robin previously taught at Johnson & Wales Culinary University, owned a catering company as well as hopping fish restaurant in Rhode Island. Now, when not at the Inn, Robin may be seen darting about in her dune buggy picking berries and making a Martha Stewart life with her husband in the country. 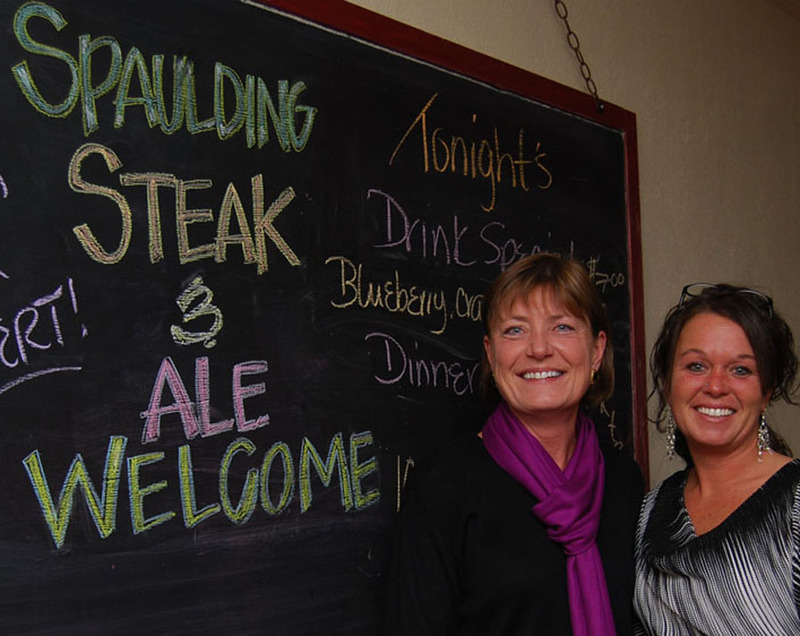 Spaulding Steak & Ale just wouldn’t be the same fun, happy, and well-run restaurant without her! 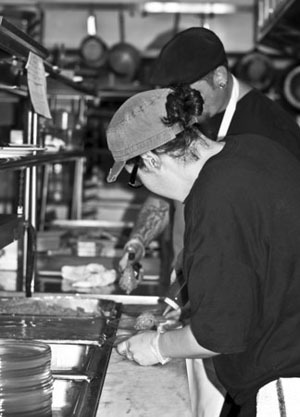 Executive Chef Marlo Perl is the secret ingredient responsible for everything tasty and delicious at the Inn. A graduate of Le Cordon Bleu Culinary Academy, Marlo’s enthusiasm for everything and anything to do with cooking is inspiring. If you are looking for something special, Marlo would love to cook it! 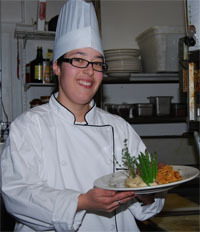 A well rounded Chef, she has a delicate hand with food but a firm one with the kitchen staff. Outside of work Marlo keeps busy with music … she plays guitar, drums, piano and writes music too. 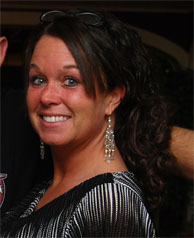 Marlo is also an animal activist and enjoys 4-wheeling her Jeep Wrangler in the woods!